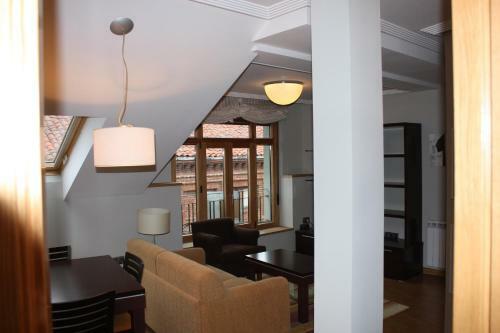 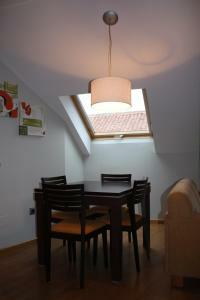 Apartamento La Cenicienta Catedral is located in central León, just 60 metres from its famous Gothic Cathedral. 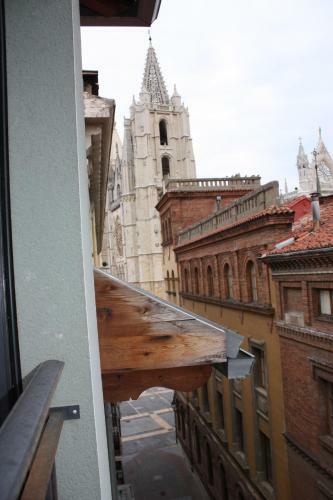 This apartment has a flat-screen TV, DVD player and cathedral views. The modern La Cenicienta apartment has a double room and a twin room. The lounge includes a sofa, and the kitchen includes a microwave, coffee maker and dishwasher. Free parking is available on site at Apartamento La Cenicienta Catedral. 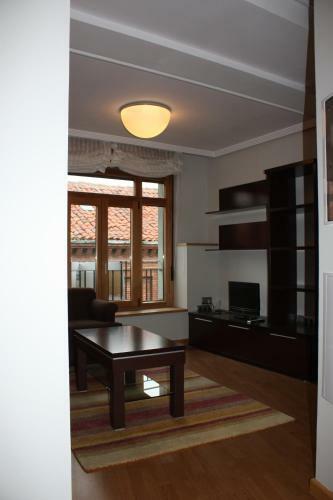 The pedestrian street where the apartment is located takes you to Plaza Mayor Square in just 100 metres. 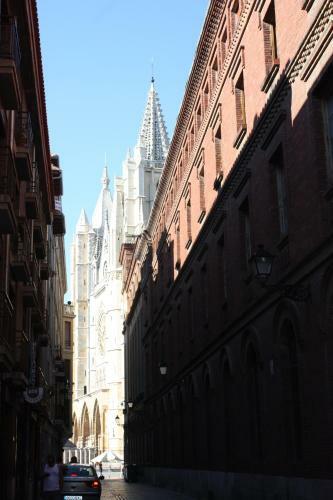 There are many traditional Castilian restaurants and tapas bars in the surrounding streets. León Train Station is a 15-minute walk away. 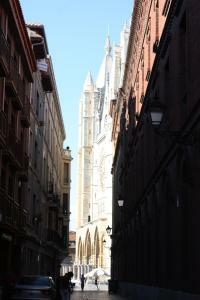 One free parking space in Plaza Mayor Square is included. 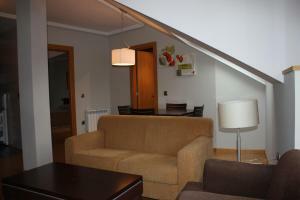 The property is located on El Camino de Santiago pilgrimage route.